Advancing image-guided treatment of cancer – a new interdisciplinary initiative in Medical Physics at LMU will train junior researchers while exploring new imaging techniques and treatment options. Imaging techniques play a crucial role in the development and application of precision cancer therapies. 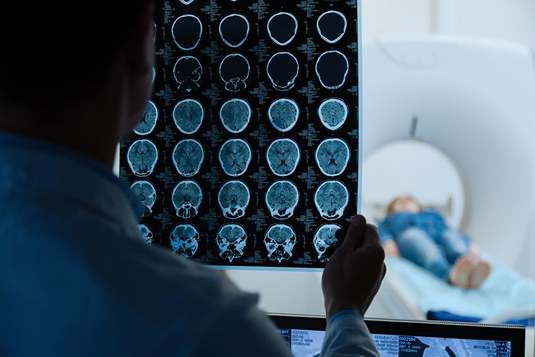 The Deutsche Forschungsgemeinschaft (DFG) has now given the go-ahead for the establishment of a new Research Training Group in Advanced Medical Physics for Image-Guided Cancer Therapy. Professor Katia Parodi will serve as its Speaker. Parodi holds a Chair in Medical Physics at LMU, and her research focuses on image-based high-precision radiation therapy using photons, protons and heavy ions. The interdisciplinary Research Training Group is a joint venture, which will involve members of the Faculties of Medicine and Physics at LMU and the Technical University of Munich (TUM), as well as the Helmholtz-Zentrum München. Professor Franz Pfeiffer of the TUM will act as Vice-Speaker for the program. The Research Training Group will develop innovative strategies in imaging, computing and therapy with the goal of an early clinical translation in the treatment of cancer. It will also provide a wide-ranging training program for young researchers, which will equip them with the up-to-date interdisciplinary knowledge, international connections and practical skills necessary for a successful career. The Research Training Group will be inaugurated in September 2017, and the DFG has agreed to provide funding for a period of four-and-a-half years in the first instance.